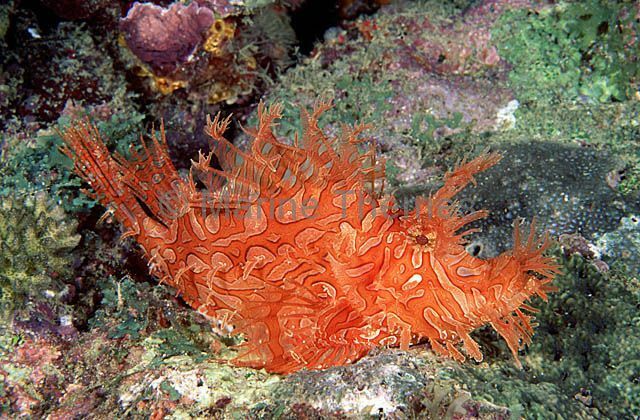 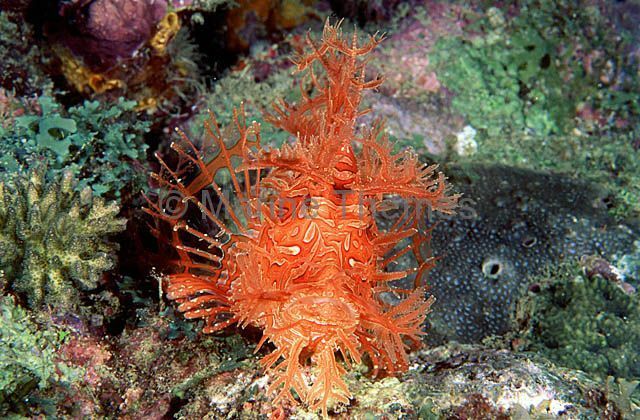 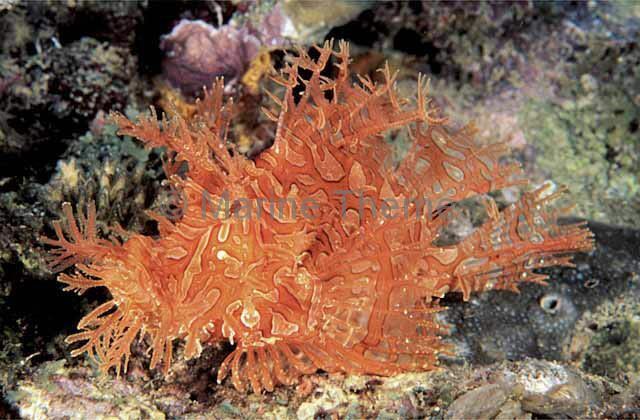 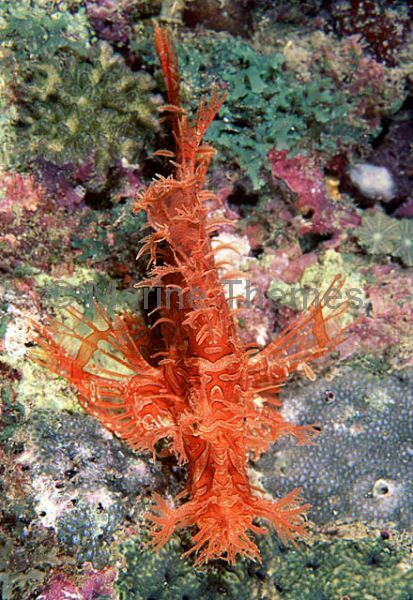 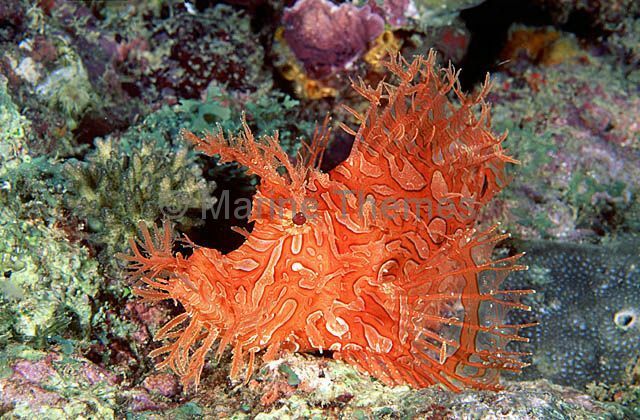 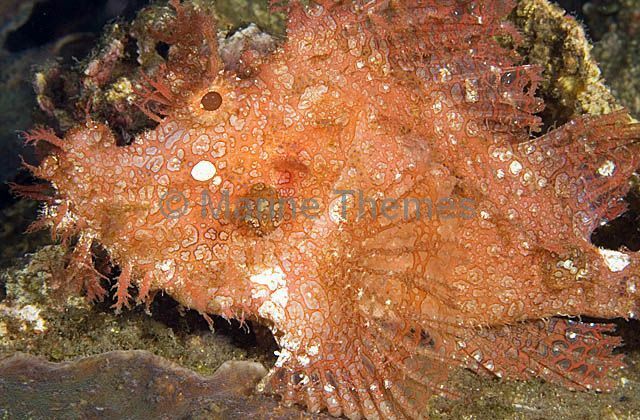 Lacy Scorpionfish (Rhinopias aphanes) Rare orange colouration. 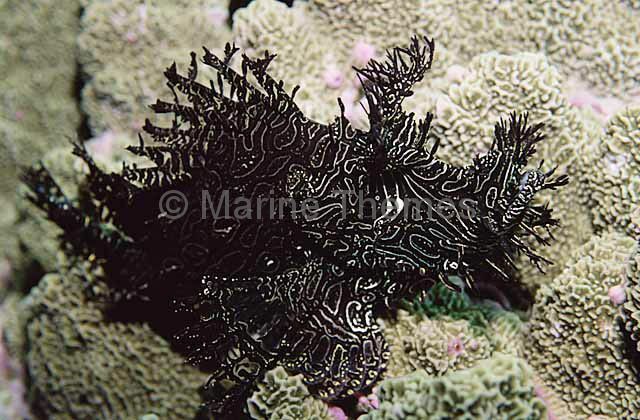 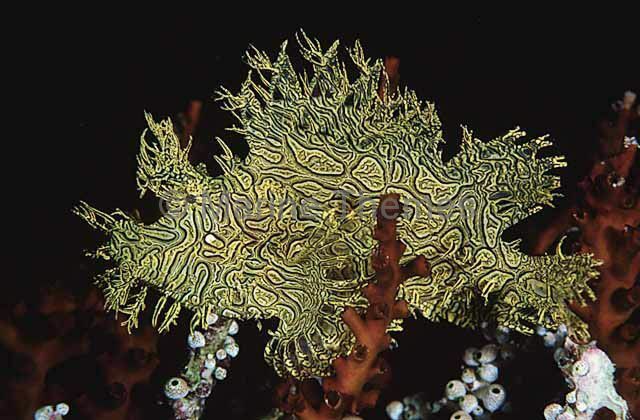 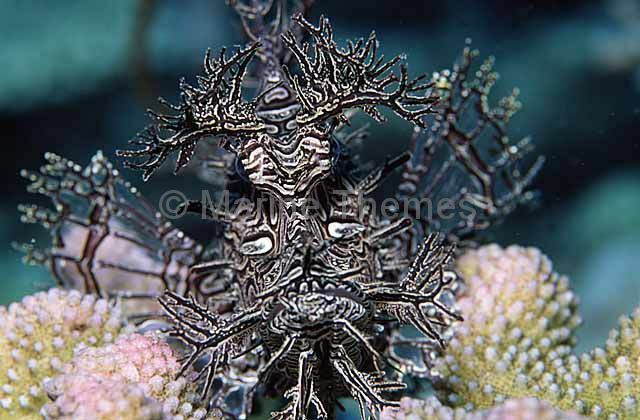 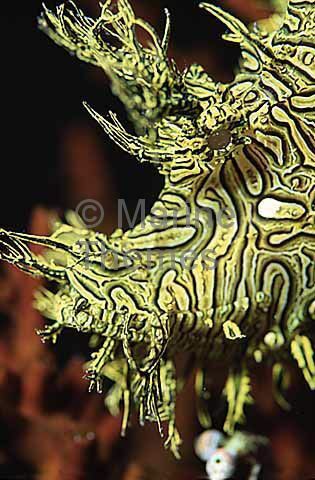 Lacy Scorpionfish (Rhinopias aphanes) in threat posture. 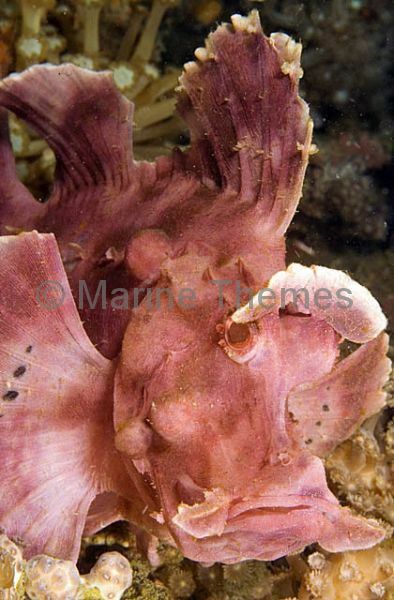 Lacy Scorpionfish (Rhinopias aphanes) with mouth open in yawning threat posture. 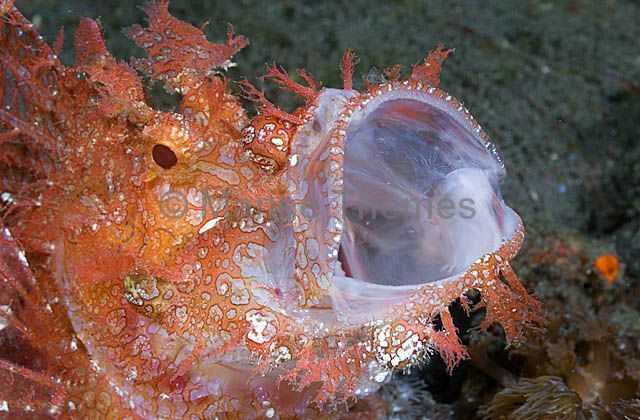 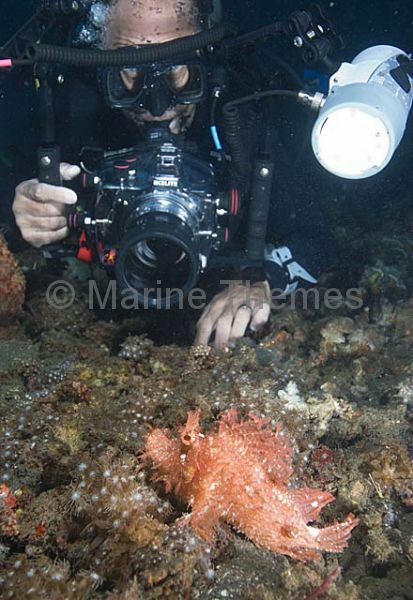 Weedy Scorpionfish (Rhinopias frondosa) being photographed by scuba diver. 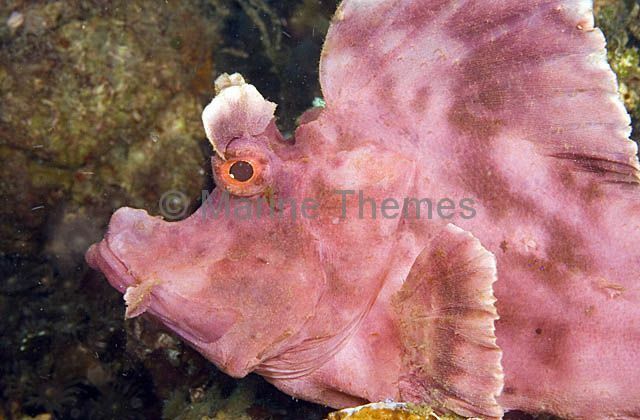 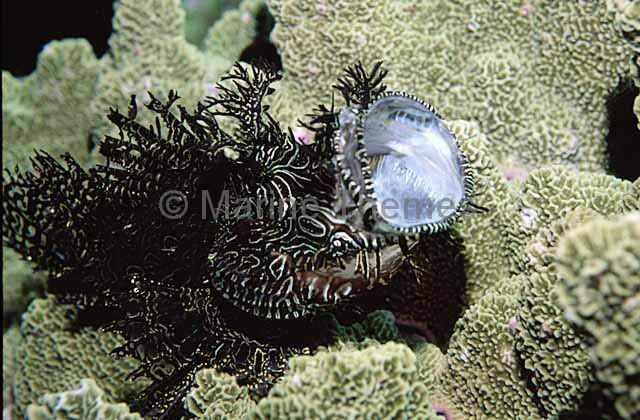 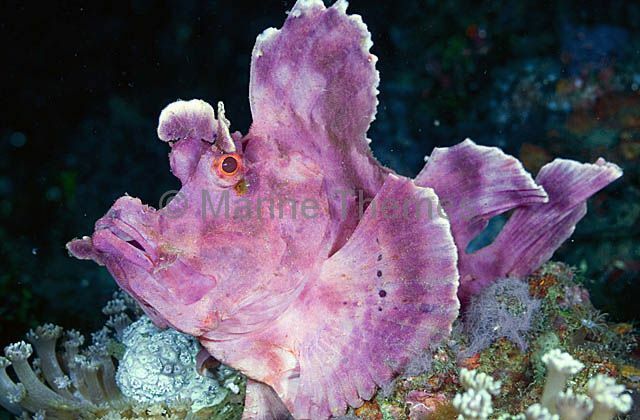 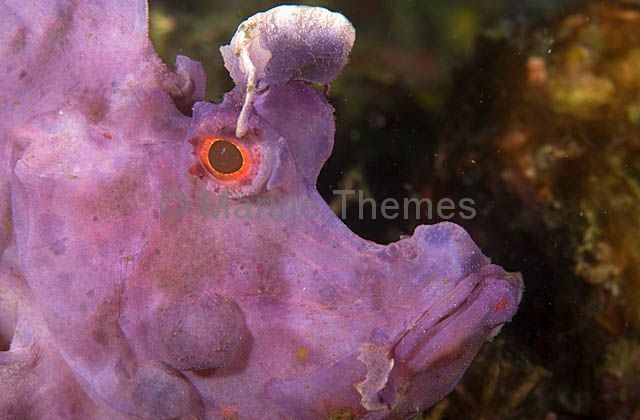 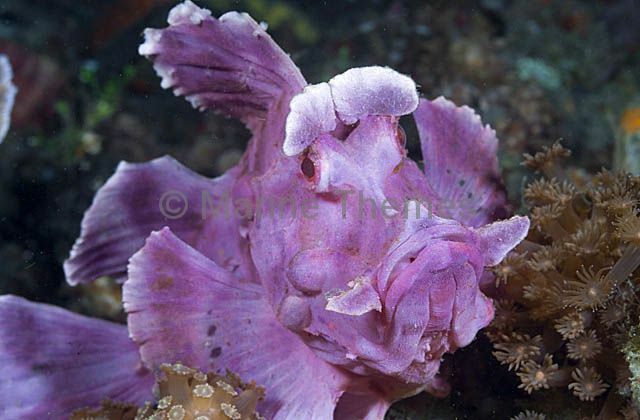 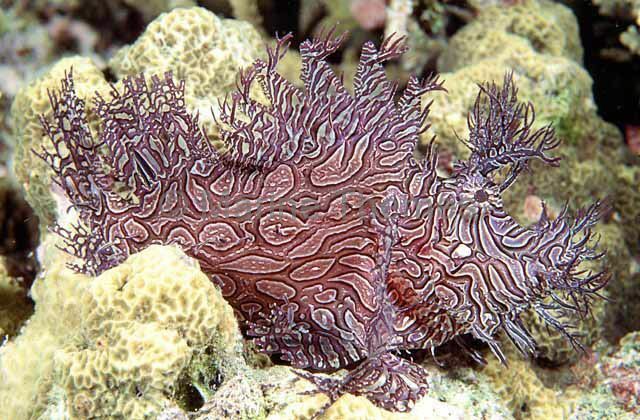 Weedy Scorpionfish (Rhinopias frondosa) with camouflage to imitate mauve sponge. 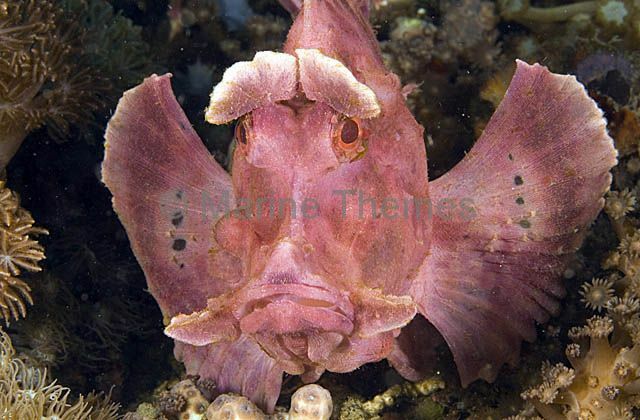 Eschmeyer's Scorpionfish (Rhinopias eschmeyeri) Portrait profile.